Union Everest Euro Sashlock Case. Turn the key to throw deadbolt, Latch operated by handle. Double throw. Latch reversal - Insert a screwdriver into the hole at the back of the case, push the latch forward and twist to reverse. 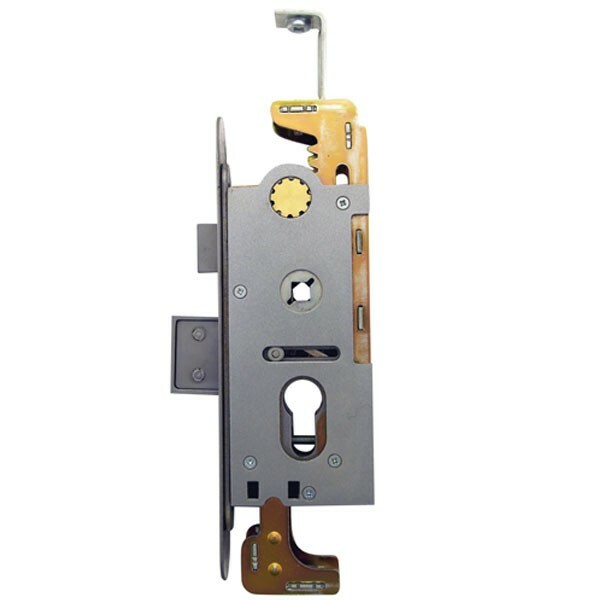 The top and bottom deadbolts, connecting bars, split spindles and door handles for this lock are no longer manufactured. Strike plate and fixings not supplied. Shootbolt kits are no longer available so if existing shootbolts cannot be reused, the case must be operated as a deadbolt only.